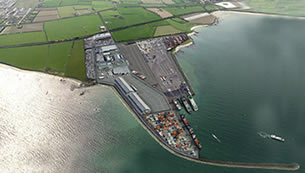 Drogheda Port Company propose to develop a world class deepwater port, logistics centre and business park away from the existing congested hub of Dublin city. The site at Bremore is within the greater Dublin area, rail linked, adjacent to the M1 motorway and 15 minutes from the M50 motorway. 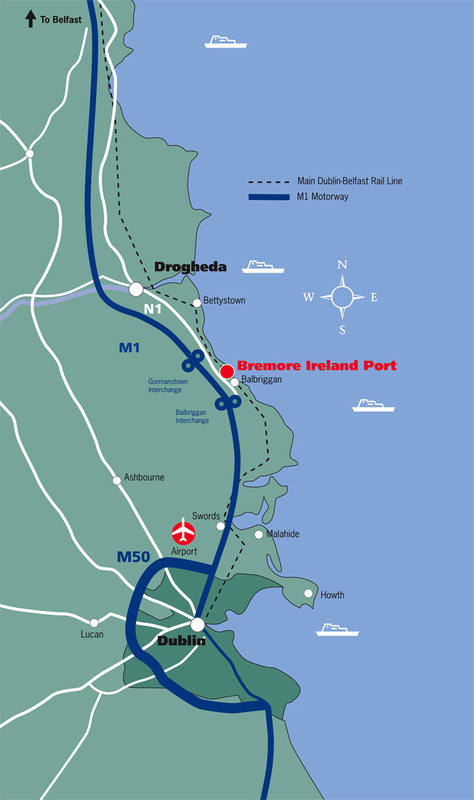 The development of Bremore Ireland Port is a strategic response to the impending future deficit in port capacity not only at Drogheda Port but on the east coast of Ireland as a whole. 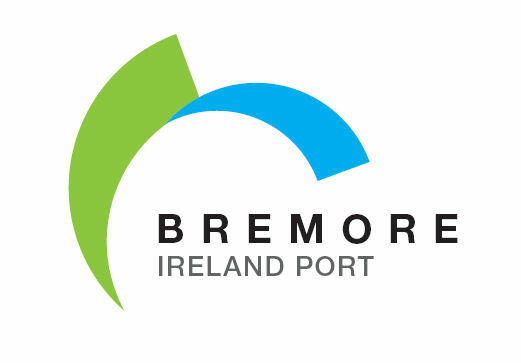 In addition to existing facilities at Drogheda and Dublin, Bremore will offer additional choice to Irelands importers and exporters. 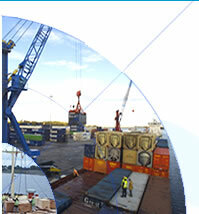 The Port will also address the lack of existing deepwater port facilities on the east coast of Ireland. The new deepwater port will have 24 hour marine access with facilities to accommodate new short sea shipping services to the United Kingdom, Europe, Scandinavia and the Baltic states, to include Lo-Lo, Ro-Ro and passenger traffics. Bremore will have the deepest berths on the east coast of Ireland. The project has been designed in three phases with Phase One potentially catering for up to 10 million tonnes of freight including 350,000 TEU Lo-Lo units, 409,000 Ro-Ro units and 1 million tonnes of general and bulk cargoes. The first phase of development will provide circa 500mtrs of linear quay for container and general cargo handling, two Ro-Ro and one high speed ferry berth for road freight, car and foot passenger traffic. 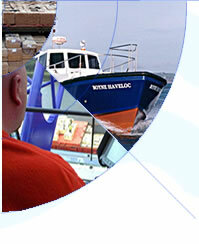 The depth alongside will be in the order of 10.5m below CD, with a potential for future deepening to 12.0m. Bremore Ireland Port has a strategic and development plan for offshore renewable energy especially the wind-sector and key business opportunities will be pursued with developers in relation to Bremore’s potential for supporting construction, operation and maintenance activities for the renewable energy centre. The port will be designed and operated to provide the highest environmental standards and respect for the local community. A diverse business district will be created around the port bringing wide economic benefits to the Bremore-Balbriggan area and presenting lifestyle opportunities for local people to work locally. The project is being developed by a consortium which includes Castle Market Holdings Limited and a world class port operator. 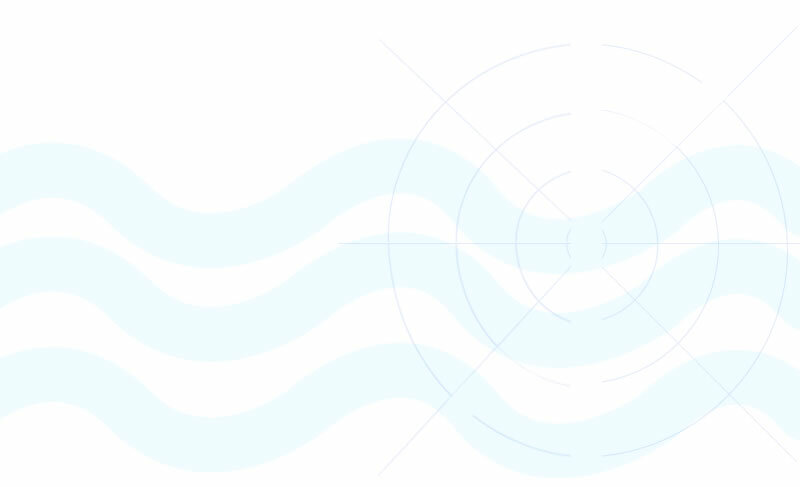 A modern deepwater port such as Bremore is a key component of realising the substantial jobs potential of renewable energy and of offshore wind farms in particular.